From the can-do spirit to her belief in women, when Mary Kay built her dream company, she created a heritage of enriching women’s lives. "You can do anything in this world that you want to do, if you want to do it badly enough and you are willing to pay the price. Often during my childhood, I heard those words from my mother, always urging me on to greater heights! They became so firmly implanted in my mind that they became the theme of my childhood and of my life." "The most valuable gift that you can give your children is not money; it is the ability to think positively. The money will soon be gone, but the ability to think positively will go on to help your children be a success throughout their lives." 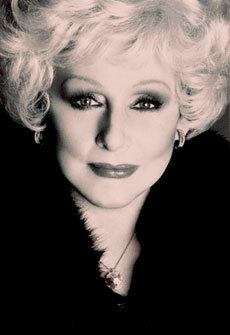 "The success [of Mary Kay Inc.] is much, much deeper than just dollars and cents and buildings and assets. The real success of our Company is measured to me in the lives that have been touched and given hope." "I know now that my legacy is assured. The Company has my name, but it also has a life of its own. And its life's blood is the philosophy that many thousands of women have made a part of their lives. They embody that philosophy of sharing and giving and, as such, it will always live on."